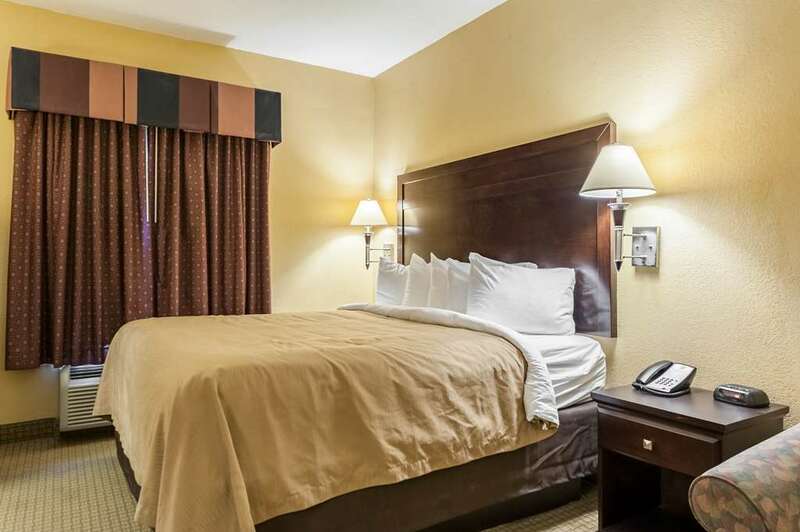 Get more value for your hard-earned money at the Quality Inn and Suites hotel in Lafayette, LA. Our location offers easy access to such attractions as Lafayette Regional Airport, Acadian Village, Cajundome and Convention Center. Amenities include free WiFi, free parking, free hot breakfast, free coffee and an outdoor pool. Meeting facilities are also available. Guest rooms feature a refrigerator, microwave, coffee maker, hair dryer, iron and ironing board. Also, earn rewards including free nights and gift cards with our Choice Privileges Rewards program. No pets allowed.